What is a Chiropractic Spinal or Joint Adjustment? The principal procedure used by many chiropractors is a form of spinal vertebral and joint manipulation known as "adjustment" that refers to a variety of manual or mechanical interventions. Adjustments are applied to joints that are subluxated (not moving properly and/or out of alignment) and help return the joints to their normal position relieving pain, avoiding degeneration, restoring nerve function, strength and allowing the body to begin the natural healing process. There are many different types of adjustments in a chiropractor's repertoire, with new adjusting technique procedures being developed as time goes on. While undergoing an adjustment, it is important that the patient remain relaxed for this generally painless procedure to be most effective. Most chiropractors will treat only the joint that they believe is misaligned or subluxated. Some however, may treat the whole spine including peripheral joints which is Dr. Pisarek's philosophy and method of chiropractic care... or concentrate only on one area. At Advanced Healthcare, Dr. Pisarek may use a single traditional (hands only) technique or a combination of a few techniques when treating his patients. The type of technique utilized is based upon the patient's presenting complaints, symptoms, condition, age, body type, needs and outcomes expected. volves using a small hand-held spring-loaded adjusting instrument to deliver a controlled, light and fast thrust without undue strain to the patient. So, in simple terms, the force necessary to move and adjust the joint is developed by the "speed" of the instrument's thrust, and not by a high "force", and is felt as a very gentle sensation only. This technique helps to restore proper balance and joint movement, and does it with improved safety and comfort. 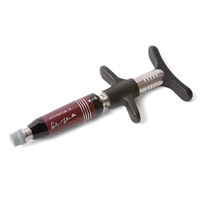 Activator is a great technique for the type of patient who does not want to hear the "popping" noise that is typically associated with a hands-on manual adjustment. Activator can be used on any age group, especially pregnant women, on infants when a newborn's spine is still mostly made of softer bone, children, to athletes and senior citizens where a typical chiropractic thrust would be contraindicated. Foot Orthotics (Computer Generated FootMaxx; 3D Foam Impressions with Laser Scanning and AutoCAD): Custom-made foot gait devices placed in the shoes to treat many foot and postural mechanical problems such as: biomechanical foot pain; bunions; plantar fasciitis; heel spurs; uneven leg length; spinal curvature and tilted pelvis'... in order to help assist with gait mobility and stabilizing most foot and spinal/pelvic conditions. Sacro-Occipital Technique (SOT - Pelvic Blocking): Chiropractors use pelvic blocking techniques as part of another low back disc protocol. This technique is referred to as 'S.O.T.' which stands for sacro-occipital-technique. Padded blocks are placed under the patient in the pelvic area to allow the body to adjust itself, since muscle tension at the base of the spine and pelvis affects the neck and upper body spinal regions. Under a blocking technique, disc patients are categorized according to a set of findings including traditional orthopedic and neurological testing. Treatments using pelvic blocking techniques include the use of cushioned wedges, which are placed under each side of the pelvis along with gentle maneuvers. This allows gravity and changes in mechanics to draw the disc away from the nerve. Disc injuries are treated in a series of non-force treatments with monitoring and evaluation. If subjective signs and symptoms are not improving, referral for imaging and medical spine specialist referral are standard of care. 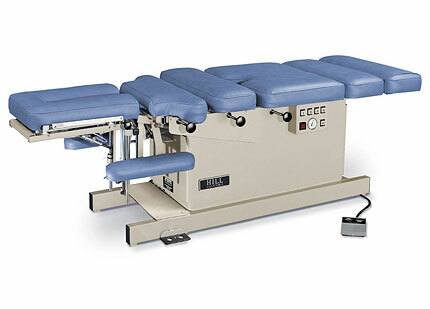 Thompson Terminal Point Technique: A specific technique for adjustment of the full spine on a special manually or electronically operated table, which has light spring-loaded, compressed air-assisted drop pieces in the cushions, to improve the effectiveness of the adjustment without as much force into the patient. This technique is based on the body's natural bio-mechanics and Newton's Law of Inertia via a "drop piece" in the table to help adjust joints that are not moving normally. It was developed so that a chiropractor could apply a specific thrust through a joint and have the drop piece portion of the table receive the brunt of the force, instead of the patient. It is an alternative for patients who don't like hearing that " popping sound" from their spine or peripheral joints when they get adjusted. 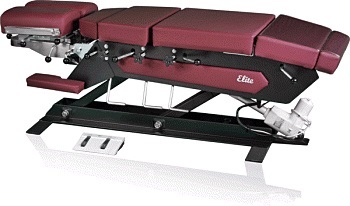 Another important procedure of the Thompson Drop-Table Technique is the "Leg Length System"; an analysis system, which is used to determine if there is any imbalance in the length of the legs while the patient is in a prone position on the adjustment table. Cox Flexion/Distraction Technique: This specific chiropractic stretching technique uses hands-on adjustment technique together with a specialized table designed to gently traction (pull/distract/stretch) and slightly flexing the spine in a pumping rhythm. 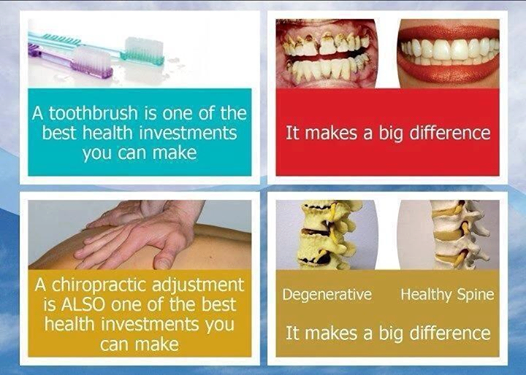 There is no pain involved in the treatment. This technique may be used in the treatment of disc herniations (bulge), the often-accompanying leg pain and to increase the mobility of the spine, by increasing the amount of space in the joints of your spine. Theoretically, the tractioning or distraction of the disc combined with isolation and gentle pumping of the involved area allows the central area of the disc, the nucleus pulposus, to assume its central position in the disc. Flexion-distraction is thought to improve disc height. These actions move the disc away from the nerve, reducing inflammation of the nerve root, and eventually the associated pain and inflammation into the leg. Flexion-distraction is applied in a series of treatments combined with adjunctive physiotherapy, supplementation, and home instructions. Eventually, specific exercises for low back disc conditions are introduced. Patients are evaluated and monitored throughout the treatment program. In flexion-distraction technique, chiropractors follow a "50% rule": if a patient has not improved objectively and subjectively by 50% at the end of 12 sessions, then imaging studies are assigned and spine specialist referral is considered. If there is substantial worsening at any time during treatment, imaging and neurosurgical referral are the standard of care. Gonstead: This specific technique, which is a variation of the Diversified technique, utilizes the use of detailed analysis of spinal x-rays to locate spinal mis-alignments prior to delivering a controlled thrust into a joint in a very specific line of drive, to help correct spinal subluxation.It emphasizes five criteria in determining the presence of a Vertebral Subluxation Complex (VSC), which include: visualization, instrumentation, static palpation (feeling), motion palpation, and X-ray analysis. Toggle Recoil: A specific technique for the adjustment of the upper cervical spine. This term has replaced the term HiO (see above), previously mentioned in this article. This technique usually utilizes a side posture table with a cervical headpiece, which makes a slight drop when the adjustment is given. Trigenics: This is a neurologically-based technique of manual joint and soft tissue manipulation to lengthen and strengthen muscles at the cellular level, using specific points in the soft tissue to stimulate the nervous system. It is a safe, non-forceful and pain-free treatment for acute or chronic musculoskeletal pain or injury that allows for deeper treatment earlier in the rehabilitative process for all age groups.